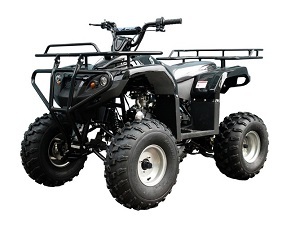 The sleek, full-sized ATA-125 F1 ATV 125cc four wheeler has a new look and the same great performance. 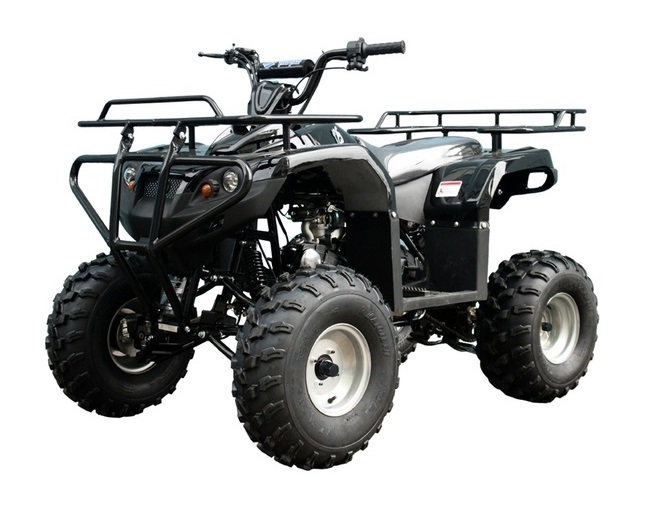 Rear hydraulic disc brakes, reverse drive, and 3 gears ensure that this utility ATV rides smoothly and safely even over rough terrain. 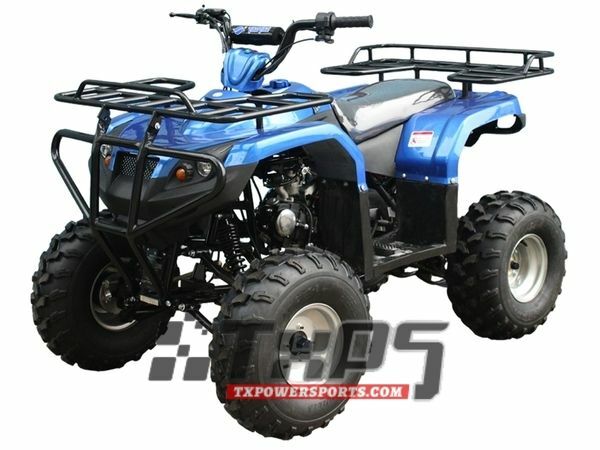 The TaoTao ATA-125 F1 125cc ATV for sale at TX PowerSports is a quad that the whole family can enjoy. It’s perfectly sized for older kids and adults, and the speed limiter allows parents to control how fast their children can go when they ride on their own. 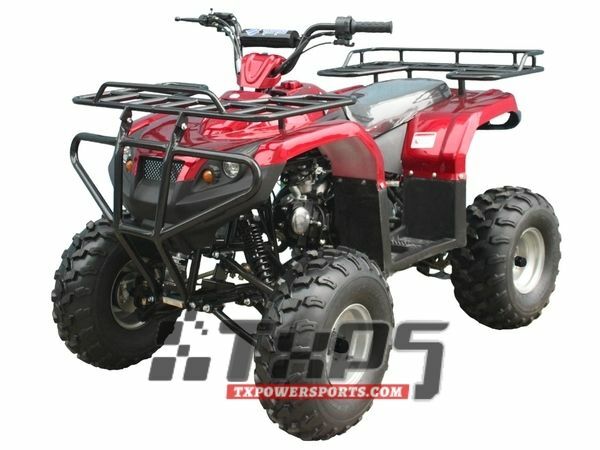 The weekends just got a lot more fun with the ATA-125 F1 ATV 125cc four wheeler! 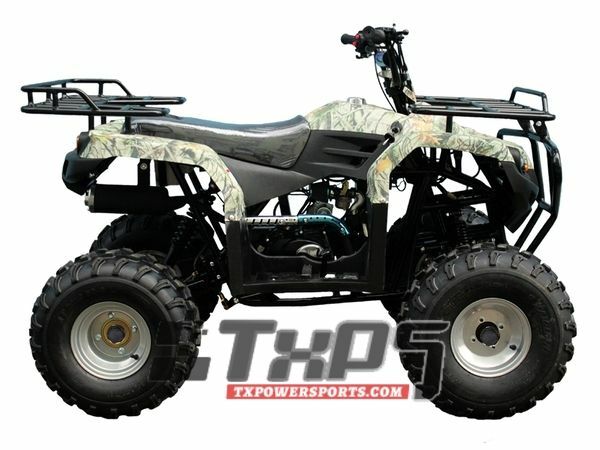 Guaranteed lowest price, no tax outside of Texas, 1-year engine warranty included – at TX PowerSports, you’ll save more on a Tao Tao ATA-125 F1 125cc ATV. 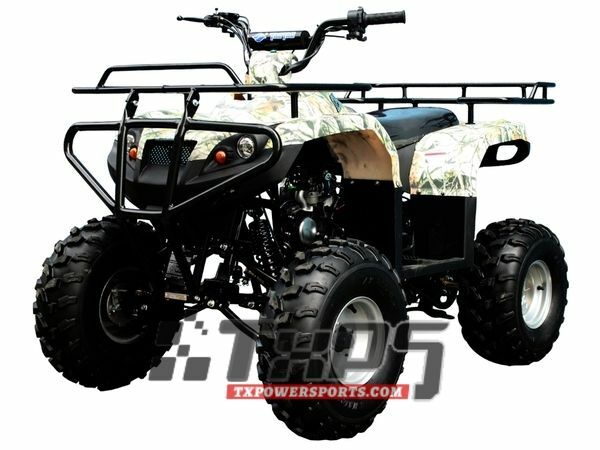 Even if you find this four wheeler for less, we’ll match it! 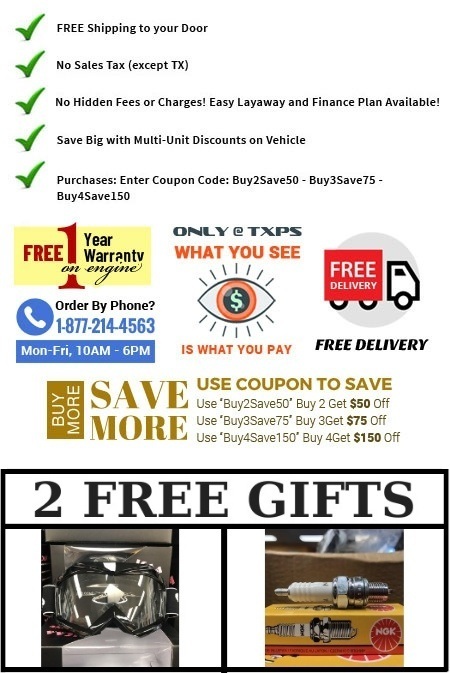 The Tao Tao ATA-125 F1 125cc ATV FREE shipping offer is an added bonus that provides significant savings and makes purchasing your quad online super convenient. 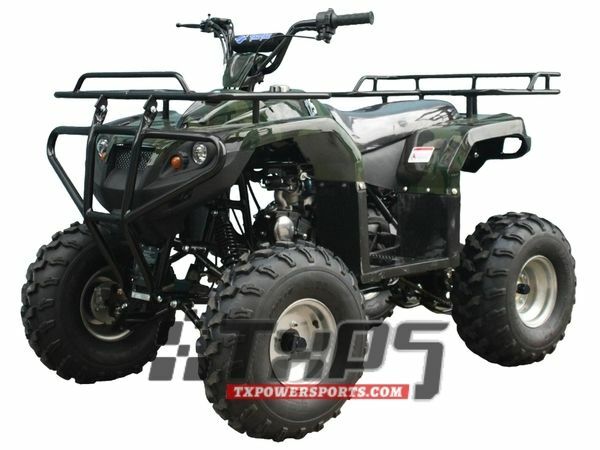 It’s just one more way TX PowerSports is saving customers around the country tons of money. 5.31" ground clearance delivers maximum underbelly protection while enhancing train ability. Tire Size > Front 21" Rear 20"